The Senate on Wednesday resolved to override President Muhammadu Buhari’s veto on two bills passed by the National Assembly. The upper chamber also agreed to reconsider and pass 15 other Bills rejected by President Buhari. The resolution to override the president’s veto on the bills and reconsider 15 others was unanimously adopted on the floor of the Senate. The two affected bills are the “the Constitution of the Federal Republic of Nigeria, 1999 (Fourth Alteration No. 28,) Bill, 2018” and “the Industrial Development (Income Tax Relief) (Amendment) Bill, 2018. The Forth Alteration No. 28 Bill, a constitution amendment, seeks to provide for the time within which the President or Governor shall lay the Appropriation Bill before the National or State Assembly. The Bill also seeks to encourage early presentation and passage of Appropriation Bills. 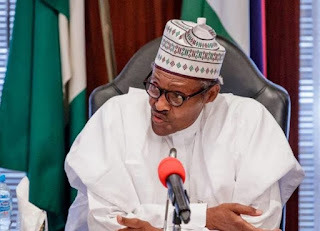 President Buhari declined assent to the Bill on the grounds that it did not take cognizance of the provisions of Section 58(4) of the 1999 Constitution, as amended. The Industrial Development Amendment Bill, is 2018, on the other hand, aimed to enable companies that expand their operations in pioneer industry or product to apply for a new pioneer status. Records showed that President Buhari declined assent to the Bill on the ground that ongoing inter-ministerial consultations would be affected if the Bill is signed into law. Findings showed that since the inauguration of the Eight National Assembly, President Buhari has vetoed more than 36 Bills passed by the National Assembly. The President has vetoed over 15 Bills passed by the National Assembly this year alone. Chairman, Senate Committee on Judiciary, Human Rights and Legal Matters, Senator David Umaru, whose committee considered the rejected Bills, presented the report of the committee. Umaru said that the 1999 Constitution, (as amended), gives the Senate the right to override the President in the event that a Bill is vetoed. The Niger East Senator quoted Section 60 of the Constitution and Rule 88 of the Senate Standing Orders 2015 to back the position that the Senate is constitutionally empowered to override the President in the event the a Bill is vetoed. The 15 Bills the Senate resolved to reconsider and pass were also rejected by the President. The Bills are expected to be represented on the floor of the upper chamber for normal legislative process, before passage into law. The affected Bills include the Fourth Alteration, No. 20, expected to strengthen the Judiciary and accelerate dispensation of justice. Continue on Page 2 provide immunity for members of the legislature in respect to words spoken or written at plenary sessions or at Committee proceedings and institutionalised legislative bureaucracy in the Constitution. Fourth Alteration, No 15, which seeks to alter the Constitution to replace the name Nigeria Police Force with Nigerian Police, to reflect their core mandate of providing civil services. Fourth Alteration, No. 22, the Bill seeks to alter the provisions of the Constitution, to reflect the establishment and core functions of the Nigeria Security and Civil Defence Corps. Fourth Alteration, No. 24, which seeks to alter the provisions of the Constitution, to among other things, provide the procedure for passing a Constitution Alteration Bill where the President withholds assent. Other Bills also affected include the Petroleum Industry Governance Bill, 2018; National Institute for Hospitality and Tourism (Establishment) Bill, 2018; National Research and Innovation Council Bill, 2018; Stamp Duties (Amendment) Bill, 2018 and Chartered Institute of Entrepreneurship (Establishment) Bill, 2018. Also the Subsidy Legislation (Legislative Scrutiny) Bill, 2018; Nigerian Maritime Administration and Safety Agency Amendment Bill, 2018; National Agricultural Seeds Council Bill, 2018; the Advance Fee Fraud and Other Related Offences (Amendment) Bill, 2017; and Agricultural Credit Guarantee Scheme Fund (Amendment), Bill, 2018 are to be reconsidered. Senate President, Bukola Saraki, assured that the Bills, when passed into law, will benefit the entire country. Saraki did not however say when the Bills will be listed in the Order Paper for consideration. It is also not clear whether the upper chamber will be able to conclude work on the Bills within its remaining life span of barely two months. The Senate also needs the concurrence of the House of Representatives in order to reactivate the Bills for transmission to the president for assent in the case of the 15 Bills to be reconsidered.